ELKHART – One big inning. That was all the Concord softball team needed Friday night to earn a sectional championship. Coach Dawn Austin’s squad exploded for seven runs in the fifth frame to race past league foe Goshen 11-3 in the title game of the Class 4-A Elkhart Memorial Sectional. Concord, which claims its first sectional title since 2015, advances to play at No. 10 ranked Penn in a one-game regional Tuesday night at 7 p.m.
Penn rallied with three runs in the top of the seventh inning to edge past LaPorte 3-2 Saturday sectional finale of the South Bend Sectional at the LaSalle Academy. The Kingsmen are 20-6 on the season. Penn, which has won five straight sectional titles, beat Concord 12-1 on April 24. Concord improves to 23-4 on the season, while Goshen finishes at 14-13 and sectional runner-up for the second straight year. The RedHawks, who lost twice to Concord in NLC regular-season play, led 2-1 before the pivotal fifth inning. 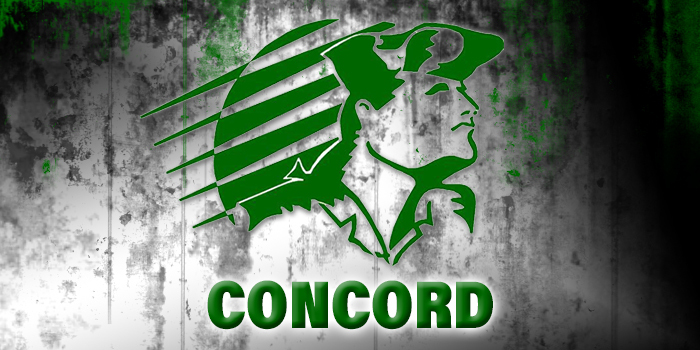 Concord rapped out five hits in the fifth to take control of the contest. The duo of Alexis Kern and Alysa Marcin each had a two-run single in the inning. Concord outhit Goshen 14-6 in the win. The Minutemen, who shared the NLC title with Northridge at 13-1 this season, eliminated the defending champion Raiders in a semifinal game Wednesday night. Yadi Gomez had three hits, including a triple, for the champions. Marcin drove in three runs for Concord, which has just one senior. Kern notched the pitching win in the circle. Freshman Brynn Shoup-Hill took the loss for Goshen.